Whether it is the installation of a new system or the servicing of your existing system, we prioritize quality, cost-effective, efficient and prompt service. We deliver the most comprehensive electrical services including installation, upgrade, and repair solutions. We have the power to make things better! Hurricane Season or unpredictable Florida storms can have a devastating effect. Generators are a great way to keep your most vital electrical appliances running. We service, sell and install pool heaters, pumps, lighting and motors. Our primary line is Rheem/Raypak. We also install Starite and Teledyne Laars. We offer the most extensive commercial service programs. We know how things are supposed to work, what lasts, and how we can keep things from breaking down. If you like to do your own minor repairs we have an extensive part inventory for all your needs. Whether it is electrical or air conditioning. 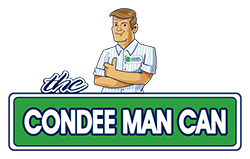 Condee Cooling & Electric has served the people of Marco Island and Naples since 1969! Our reputation and success are built on service - reliable, efficient and friendly service. Condee Cooling and Electric has the ability to solve any size task or problem you may have. Rest assured that our professional staff has received the most up-to-date training available. We help you make right choice for your needs and budget. We value your energy needs. Our service solutions are Eco as well as cost friendly. We are prompt, experienced, State licensed and insured service provider. We also perform emergency repairs. Call Today for 24/7 Service.